When you register, you will receive an email receipt with a breakdown of the chosen fees and confirmation of payment. Sometimes, a contact in your organisation will require a copy of this receipt. You can trigger a copy of this email to anyone by following the steps below. The first thing you must do is log in to the conference dashboard. If you are an author or a reviewer who already used the system you should make sure to log in with the same email that you are already using for this conference. 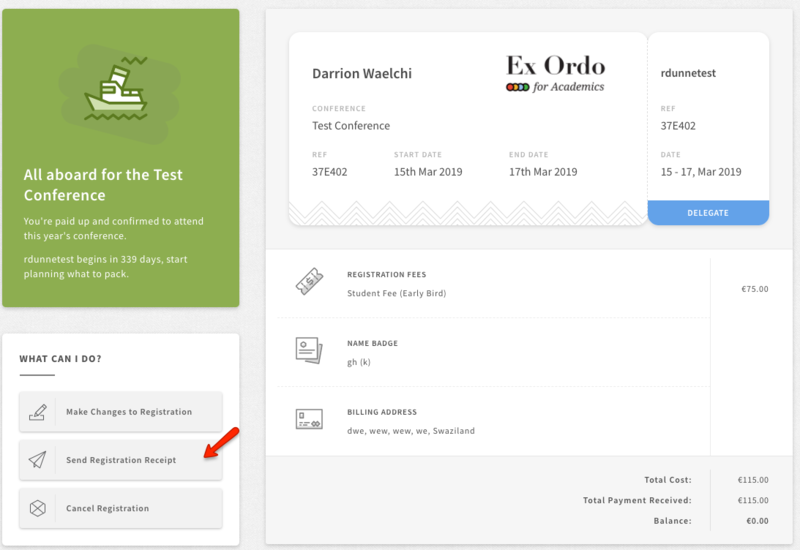 Once you have registered, you will see you can Update Registration from your your dashboard. Clicking on this will take you to your Registrations hub. 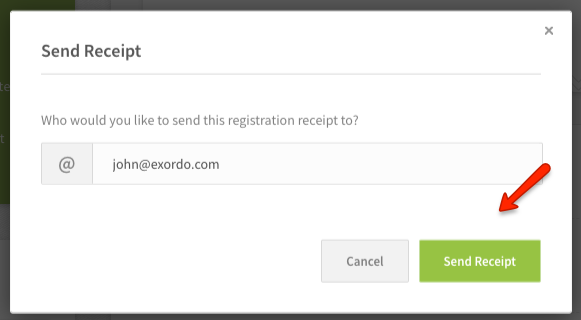 From your Registrations hub, you can select the option to send a copy of your registration receipt. You can then enter the email of the person who requires the details and press Send Receipt. An email will immediately be sent to that contact.